Bunyad Foundation has made considerable strides in education and literacy in twenty-two districts, including Bagh, Peshawar, and Karachi. Hafizabad is the district from which the foundation led its inaugural operations in 1992. Today, Bunyad has implemented 17 projects and programs just on literacy and NFBE in the district. In Pakistan, more than fifty million people aged over ten years are illiterate, and the literacy rate currently stands at fifty-eight percent. Both the accessibility and quality of education are at a less than satisfactory level. More than six million children are out of school, while forty-five percent of students drop out before they reach the fifth grade; the completion of their primary school. The situation is particularly alarming for women, forty-seven percent of whom are illiterate. Particularly in rural areas, the inaccessibility of education only feeds into the culture of gender oppression and exploitation. Ultimately. Pakistan has failed to materialize its Millennium Development Goals (MDGs) and EFA target by 2015. Bunyad Foundation is renowned in Pakistan for its outstanding services in providing formal and informal education particularly for children and women involved in hazardous forms of labour. In fact, the need for education for women and children working in risky forms of employment was the reason for Bunyad’s inception in 1992. The first project funded by the donor organization, ILO, also catered to formal education. 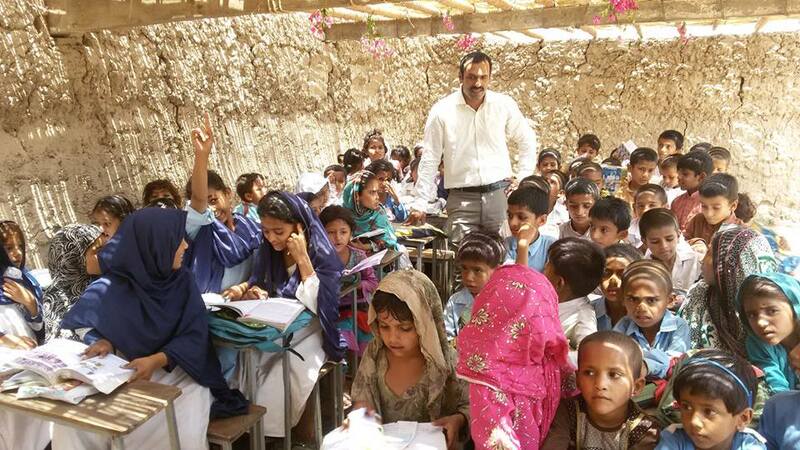 Since its establishment, Bunyad Foundation has inaugurated 5,526 non-formal education (NFE) centers around 1800 villages of 22 districts in Punjab province and reached around 353,999 direct beneficiaries as women (36%) and children (64%). Among children beneficiaries, 63% were female and 37% were male. Overall, among total direct beneficiaries, 77% were female, both adults and children, which is greatly indicative of how one of Bunyad’s priorities is assuring the educational rights of female children and adults in remote localities of the province. Our foundation has successfully reached up-to doorstep level in 22 districts. n behalf of the Korean National Commission for UNESCO (KNCU), I am pleased to offer my warmest congratulations to Bunyad Literacy Community Council on the publication of its 25thanniversary commemorative book.